The Rollins School of Public Health of Emory University impacts health and well-being through excellence in teaching, research, and the application of knowledge in partnership with domestic and global communities. Ethically engage with domestic and global communities to achieve optimal population health, quality of life, and social justice. At the Rollins School of Public Health, students learn to identify, analyze, and intervene in today’s most pressing public health issues. The public health school’s location in Atlanta, referred to as the “Public Health Capital of the World,” is also home to the U.S. Centers for Disease Control and Prevention; CARE; the national home office of the American Cancer Society; The Carter Center; the Arthritis Foundation; numerous state and regional health agencies; and the patient care, teaching, and health-related research programs of Emory University’s Woodruff Health Sciences Center. This setting is ideal for hands-on research, collaborations with the world’s leading public health agencies, and interdisciplinary work with national and international organizations. Our public health graduate program is community oriented, and many students bring actual problem-solving experiences with them. Students join the Rollins community from all 50 states and from more than 40 foreign countries to contribute to the school and apply knowledge to promote health and prevent disease in human populations. Our top-ranked public health program comprises six academic departments: behavioral sciences and health education, biostatistics, environmental health, epidemiology, health policy and management, and global health, and hosts over two dozen interdisciplinary centers. More than 200 full-time, doctoral-level faculty members teach and conduct research in areas such as mathematical modeling of infectious disease transmission, exploring relationships between nutrition and chronic disease, and investigating cancer causation and control. Other research interests include identifying the social determinants of health-risk behaviors, AIDS, developing church-based health promotion programs to foster changes in nutrition and other health-related behaviors, detecting and preventing adverse outcomes in occupational settings, and evaluating the cost of health care and the allocation of health resources. 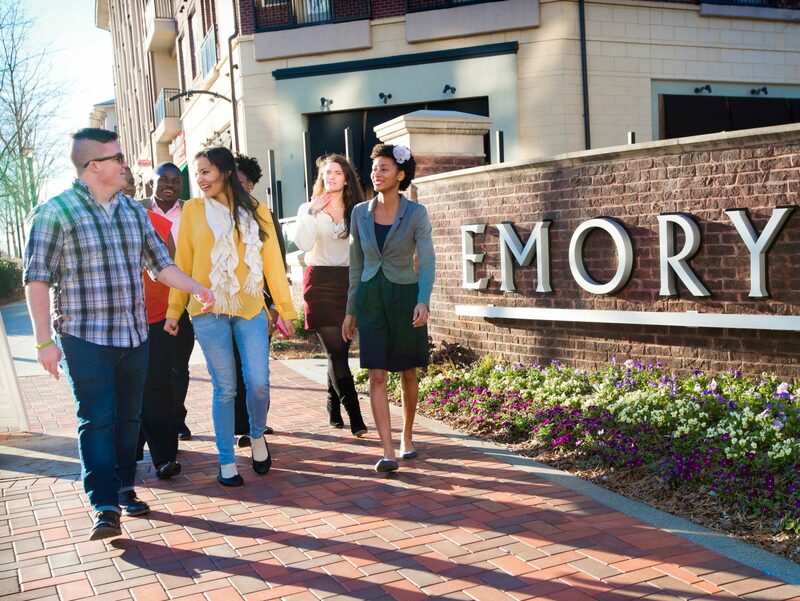 The Rollins School of Public Health offers dual-degree programs with Emory’s business, medical, nursing, and law schools. In addition to these programs, the schools of public health and medicine collaborate on many levels. Research areas of mutual interest include nutrition, Alzheimer’s disease, and the prevention and control of AIDS, cardiovascular disease, cancer, and adverse reproductive outcomes. In conjunction with The Emory Clinic, physicians from the environmental and occupational health department have created a diagnostic and evaluation facility for people exposed to environmental health hazards. The school also houses a residency program in occupational medicine. Rollins draws strength from several unique local resources. The U.S. Centers for Disease Control and Prevention, the federal agency dedicated to developing and applying disease prevention and control programs, provides more than one-half of the school’s more than 300 adjunct faculty. The Carter Center is involved in international health intervention programs that provide student practicum opportunities. Our students learn from staff of the Task Force for Child Survival and Development, both in the classroom and as interns in the field. The school also shares research activities with the national headquarters of the American Cancer Society and international headquarters of CARE, both based in Atlanta.